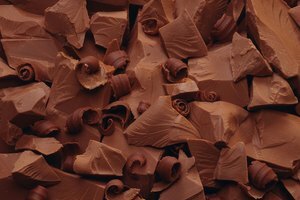 Creating artisanal chocolates might sound like the most difficult kitchen project in the world, but you can impress friends and families by using melted chocolate chips as a base for a wide variety of flavors and shapes. 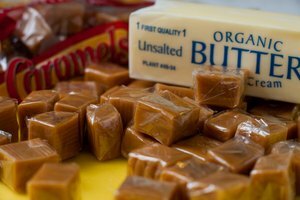 Making chocolate candies can seem a daunting task, mostly because of the temperamental nature of chocolate when being melted. 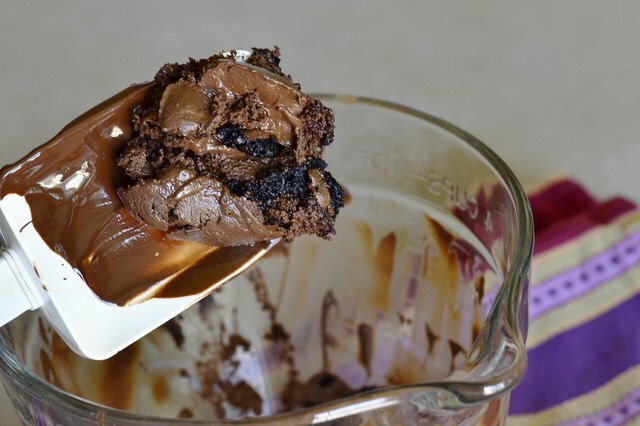 Stirring chocolate over a double boiler until melted can be a very tricky job, with plenty of room for error. 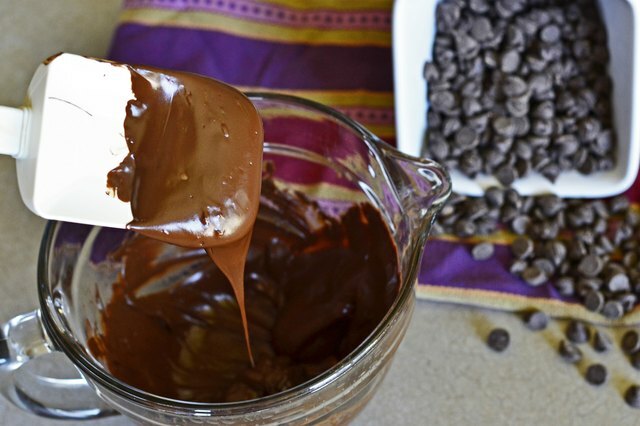 Luckily, there's an easier method for melting chocolate chips: using a microwave. When tempering or melting chocolate chips in the microwave, be careful not to overheat them. The high cooking temperature of the microwave can ruin melted chocolate. Otherwise, the method to melt is simple and quick. 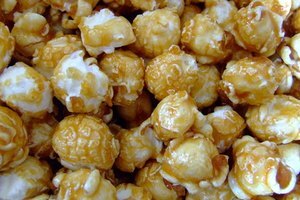 All types of candy chips -- chocolate, butterscotch and peanut butter -- are easy to melt in the microwave. 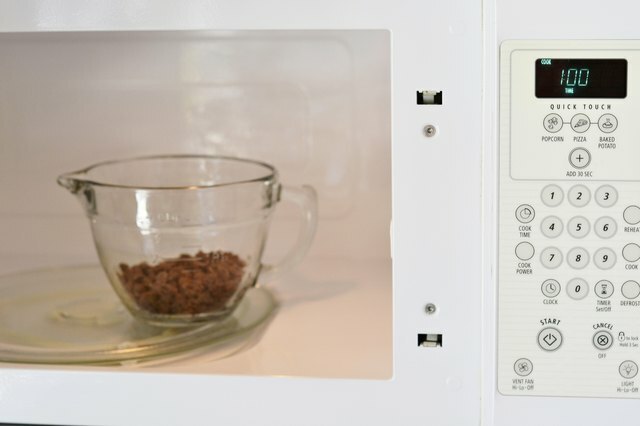 Heat them incrementally in a microwave-safe bowl for the best results. Start with one minute on a medium setting for 1 cup of chips, then heat the chocolate for no more than 15 seconds at a time after that. Stir the chocolate after each 15-second interval to ensure even heating. When the chips are almost melted, stir more thoroughly to help the last few lumps melt without further cooking. Drizzle melted chocolate over baked goods or use it to make shaped chocolates by pouring it into food-safe molds. The melting temperature for chocolate is between 104 to 113 degrees Fahrenheit. Check the temperature of the chocolate with a quick-read candy thermometer. Tempering chocolate requires heating chocolate to a specific temperature so that the crystals in the chocolate are stabilized. 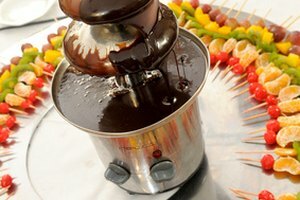 Tempering is essential for chocolate candies or for coating foods in hard chocolate, such as chocolate-coated strawberries. 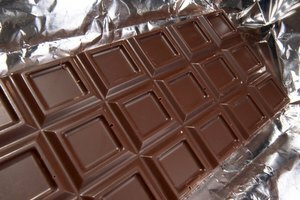 It not only gives chocolate its glossy appearance, it helps keep it hard after cooling. Heat milk chocolate chips to 86 to 88 F and dark chocolate chips to 88 to 90 F. Heat the chips on medium at 15-second intervals, stirring in between cooking times to prevent uneven heating and scorching. When almost all of the chips have melted, give the chocolate a final stir. 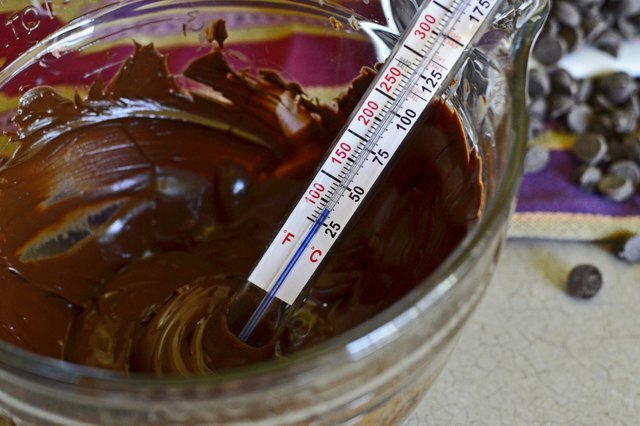 Like with melted chocolate, test the temperature of the chocolate with a candy thermometer. Milk chocolate chips can scorch easily or separate if they are heated to too high a temperature. When milk proteins are overheated, they can become undesirably grainy. When tempering chocolate, too high a temperature will mean the cooled chocolate will not develop a glossy exterior. The hot temperature of melted chocolate also requires careful handling, as it can cause burns. Similarly, the rim of the bowl may be hot from microwaving, so take care when removing it from the oven. When you plan to pipe chocolate -- onto baked goods, for example -- melt the chips in a heavy resealable plastic bag. Knead the chocolate in the bag to ensure that all lumps are melted. 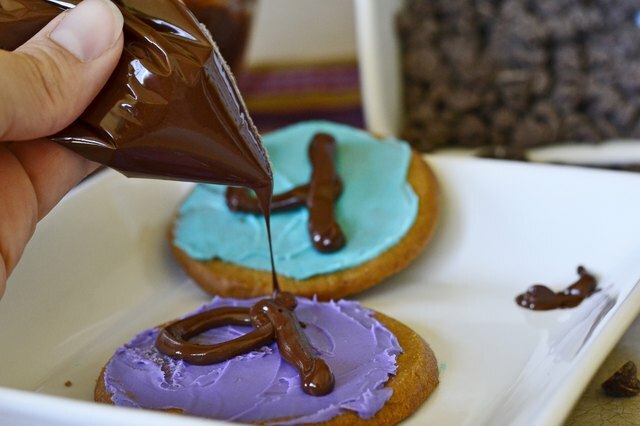 Snip off the bottom corner of one of the bags to pipe the melted chocolate directly onto cookies or cupcakes.